Most mountains on the Earth are formed as plates collide and the crust buckles. 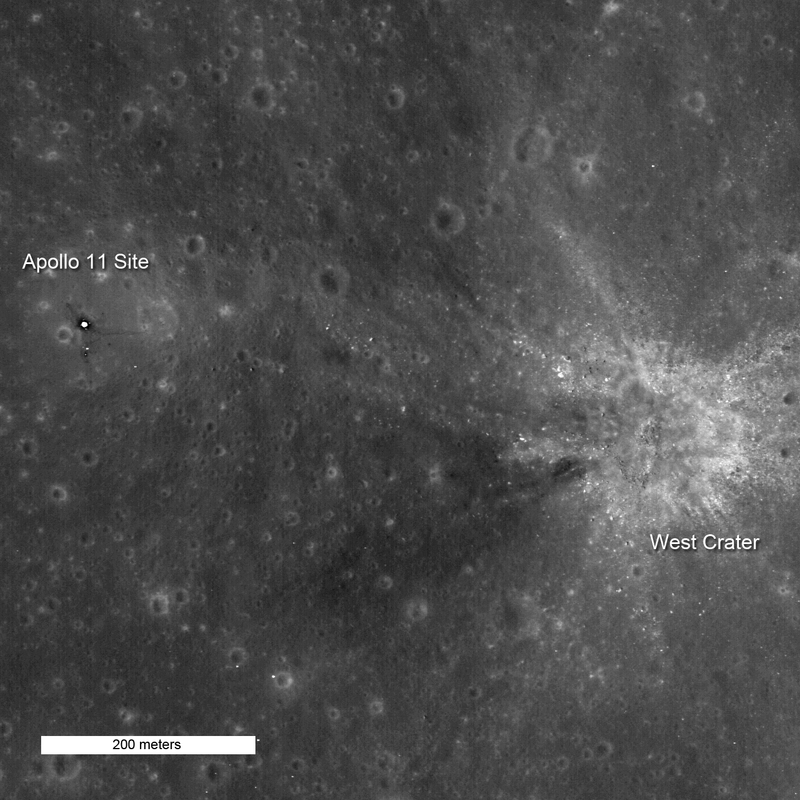 Not so for the Moon, where mountains are formed as a result of impacts. 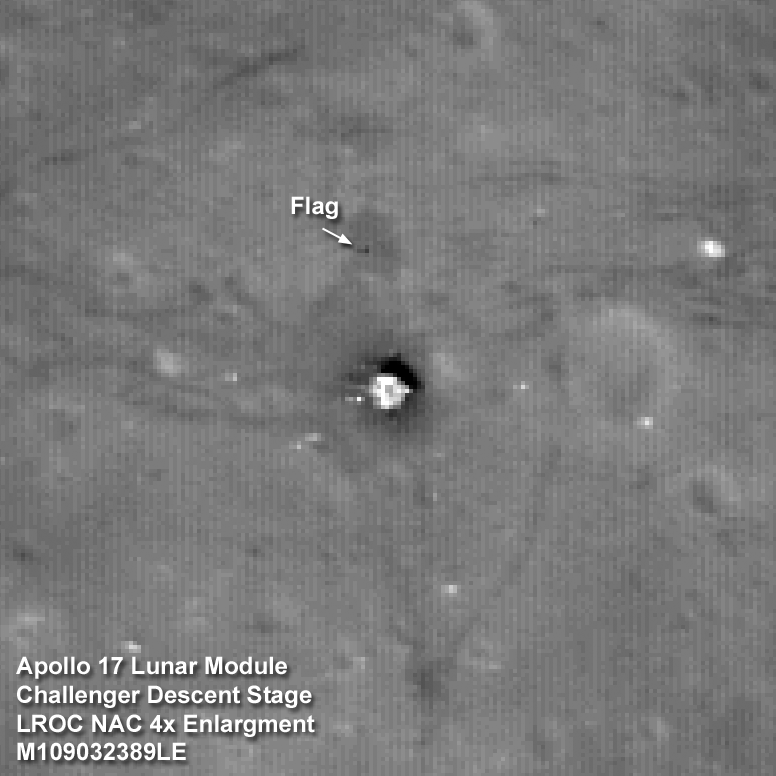 Images taken looking across the landscape rather than straight down really bring out topography and help us visualize the lunar landscape. However such images can only be taken as the spacecraft rolls to the side, in this case about 70°, so the opportunities are limited. Foreground is about 15 km wide, view is northeast across the north rim of Cabeus crater [NASA/GSFC/Arizona State University]. 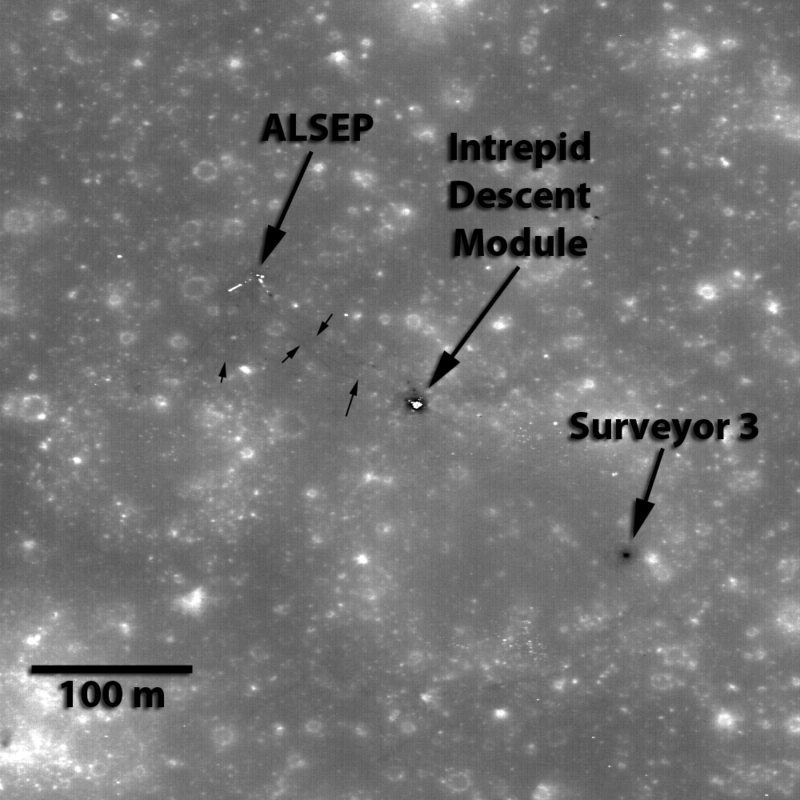 Interactions between the mobilized material excavated during impact and the pre-existing surface formed dune-like and trough-like features in the ejecta blanket of Galvani B, a 15-km diameter crater. 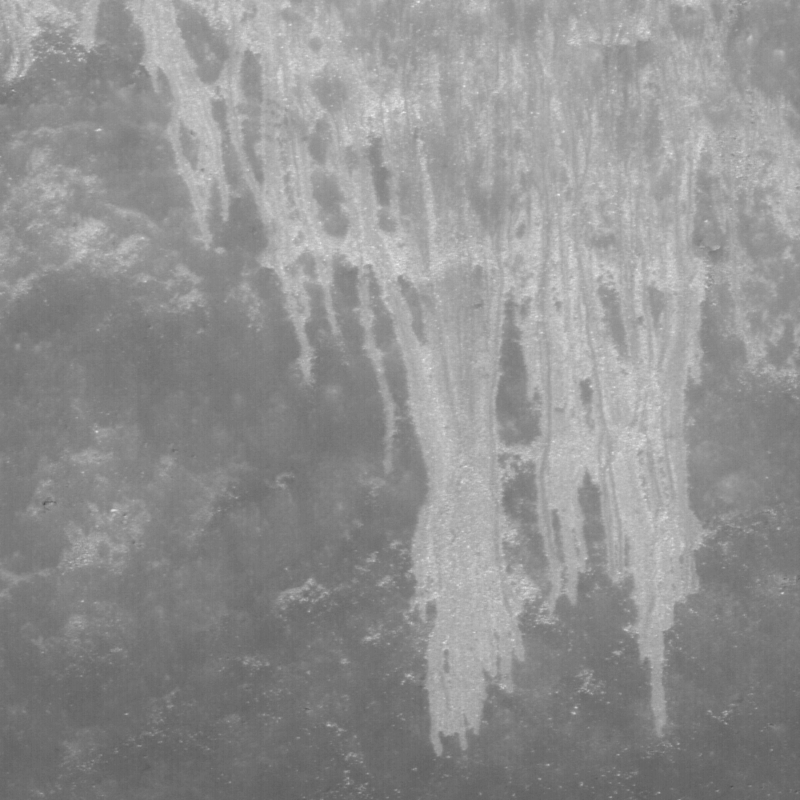 North is up, image resolution is 0.58 m/pixel [NASA/GSFC/Arizona State University]. 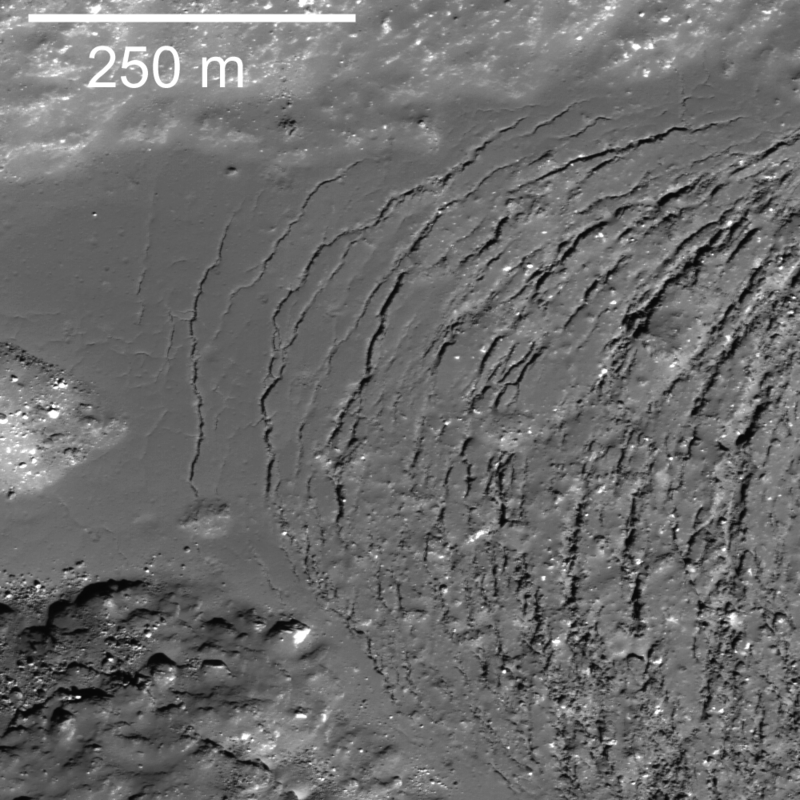 Landslide deposits seen on the steep interior slopes of Marius crater, image is 510 meters wide [NASA/GSFC/Arizona State University]. 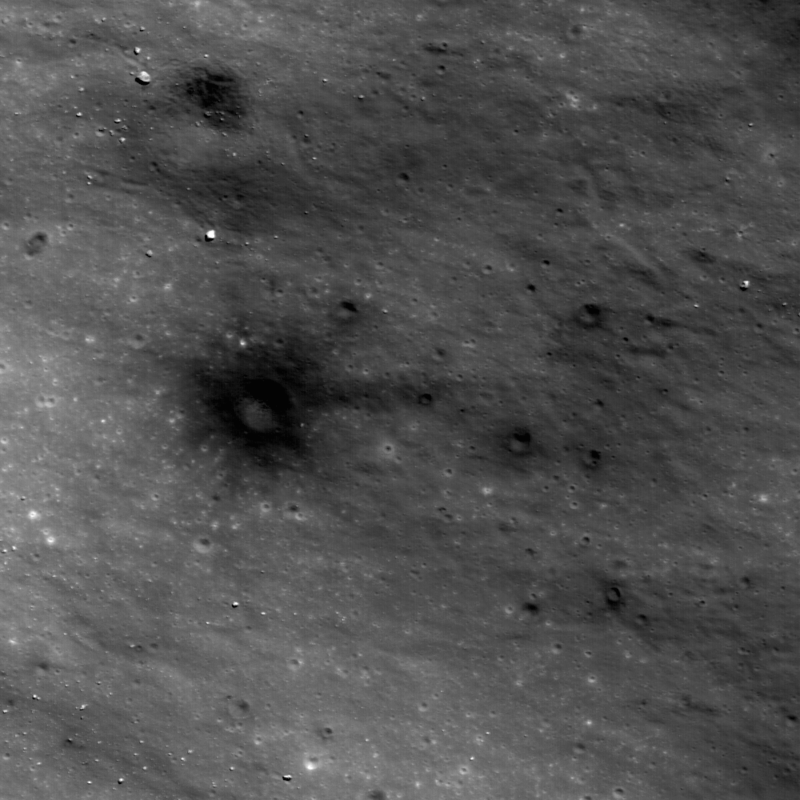 New view of the Apollo 12 landing site in Oceanus Procellarum imaged from the LRO mapping orbit. 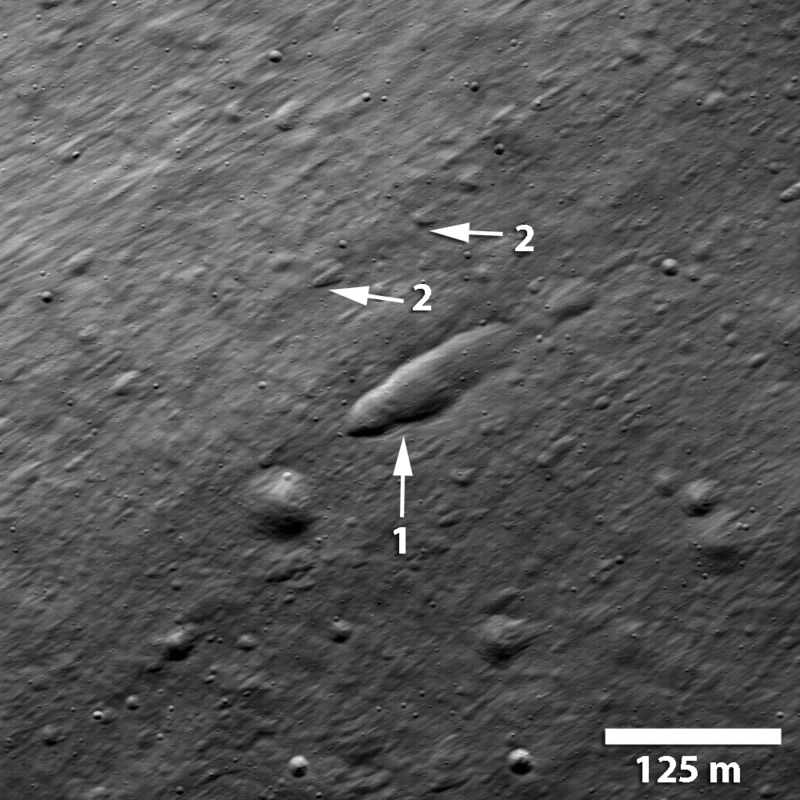 Small black arrows show locations where astronaut footpaths can be clearly discerned. Image width is 490 meters [NASA/GSFC/Arizona State University]. Frozen impact melt flows on the floor of Moore F, a farside highlands crater. Image width 600 m, 0.61 m/pixel, NAC image M110383422LE [NASA/GSFC/Arizona State University]. Diverse textures on the floor of Saha E on the lunar farside. 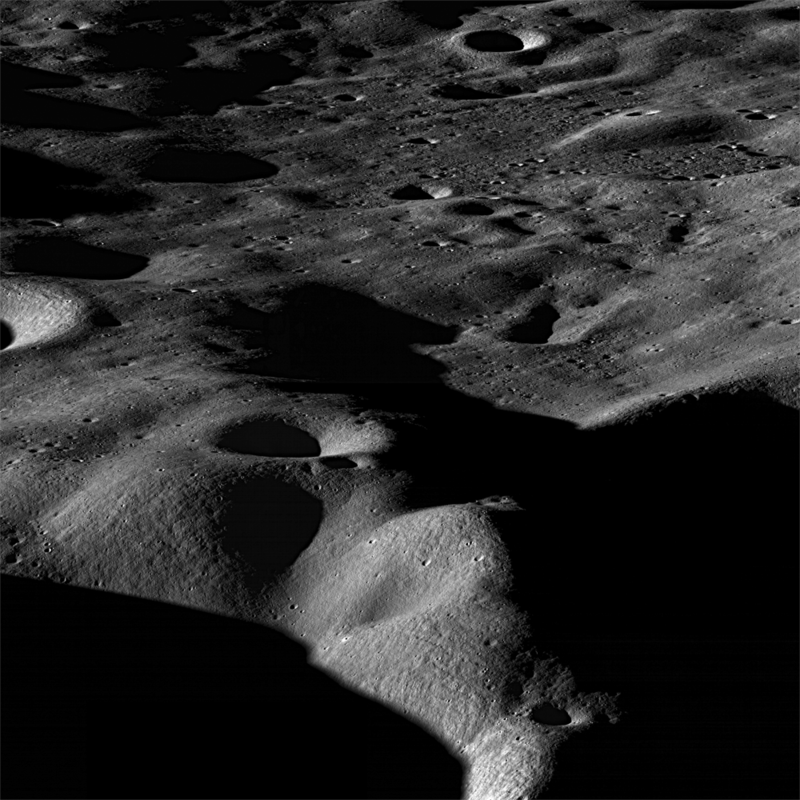 Image width is 1.08 km [NASA/GSFC/Arizona State University]. 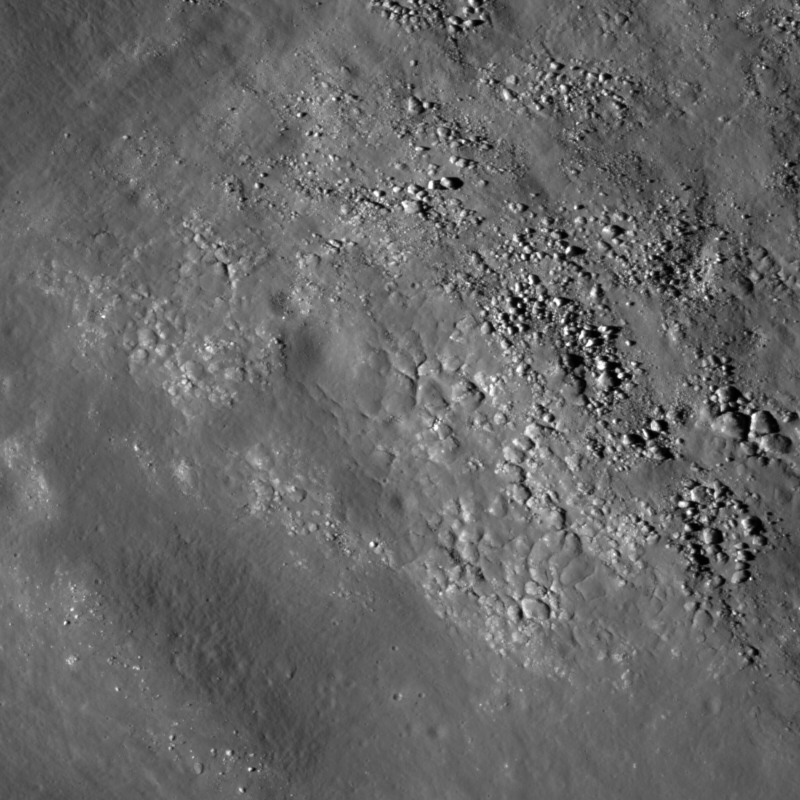 A plethora of boulders surrounds braided flows of impact melt along the inside wall of crater Epigenes A. 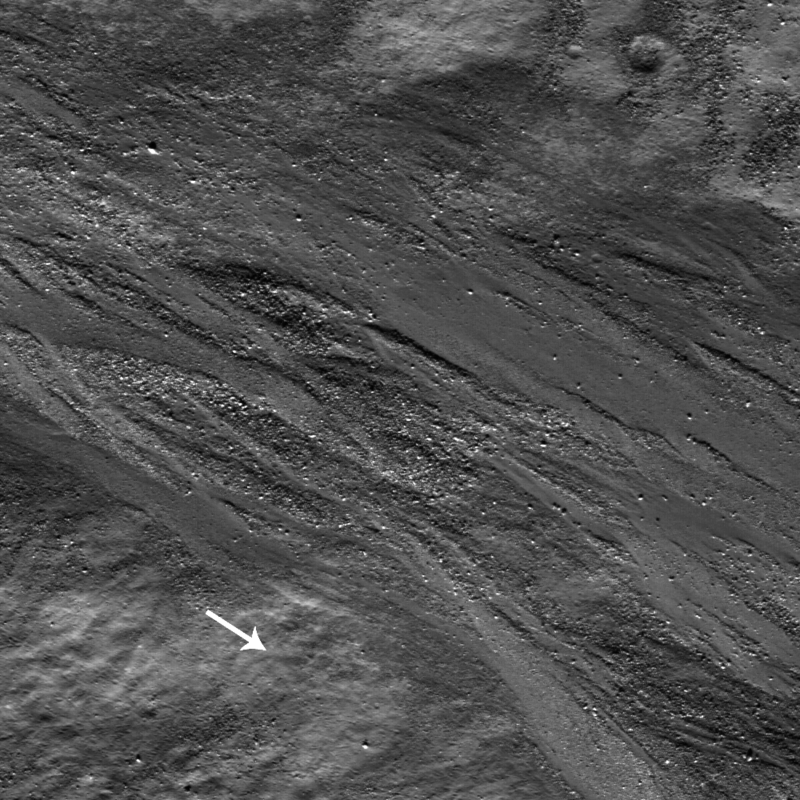 As the melt moves toward the crater floor (direction indicated by white arrow), the flow buries and moves boulders. Epigenes A is a 18 km diameter crater located at 66.9°N and 0.3°W on the rim of crater W. Bond. The NAC image is 540 meters wide [NASA/GSFC/Arizona State University].